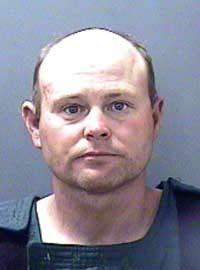 A 43-year-old Blaine County man pleaded guilty Monday to first-degree arson for lighting his own East Fork home on fire last May following an argument with his wife. Patrick S. Busby entered his guilty plea at arraignment in Blaine County 5th District Court after defense attorney Keith Roark announced that a plea agreement had been reached with the Blaine County Prosecuting Attorney's Office. According to the agreement, Roark said, prosecutors will not seek a prison sentence but will instead recommend to the court that Busby receive county jail time and be placed on probation. Roark said prosecutors agreed to have an "obstructing officers" misdemeanor charge dismissed. Sentencing was scheduled for Dec. 12. Judge Robert J. Elgee advised Busby that he is not bound by terms of the plea agreement and that the maximum penalty for first-degree arson, a felony, is up to 25 years in prison and a fine of up to $100,000. The case against Busby arose the evening of May 7. Police said he used plastic gasoline containers to start a fire at two locations in his home at 67 East Fork Road. According to a Blaine County Sheriff's Office report, Busby started the fire after an argument with his wife and after threatening to burn the home down. The fire gutted portions of the home interior. The Ketchum Fire Department estimated damage at $400,000. In court Monday, Busby said he couldn't recall all of the events that occurred that evening but remembered enough to establish guilt in his own mind, telling Elgee that he was pleading guilty "because I am." "I blacked out drunk and apparently burned down my house," Busby said. "I remember parts about an argument with my wife. I remember throwing the cans of gas into the rooms. I remember standing at the window contemplating suicide." Roark said his client has stopped drinking alcohol since the fire, has undergone extensive alcohol rehabilitation, is attending Alcoholics Anonymous meetings and is undergoing psychiatric counseling. "He's done everything imaginable since his offense to get his life back in order," Roark said. Busby remains free on $10,000 bond.